A client's confidential information is of utmost importance to us and part of our core beliefs. No client information is ever shared between clients or the general public without consent from that client. OneEvent Technologies is developing Data Analytics and Predictive Analysis for Homeowners, Data Centers, Quick-Serve Restaurants and the Insurance Industry. Our role includes Product Development, Marketing, Business Development and Industry Outreach. Observables is developing the next generation of Software Defined Security Devices. 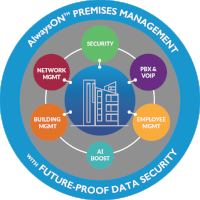 Their AlwaysOn Platform can help companies manage communications, networking, and access control over a wide range of protocols. The easy to use interface creates new RMR opportunities for dealers and service providers. Our responsibilities include Product Development, Marketing and Industry Outreach. 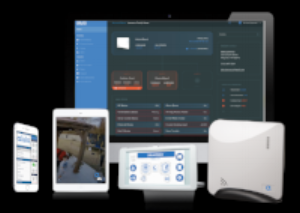 Alula is the newly formed combination of Resolution Products and IpDataTel, two great companies coming together to create a powerful force in the security industry. A full service manufacturer of security and intrusion products, they have also developed a state of the art Interactive Service that is the best in the industry. Our responsibilities include, Product Roadmap, Marketing, Sales Support and Strategic Planning. Delos is a wellness real estate and technology company that is transforming the lives of people around the world by creating residential and commercial spaces designed to improve health, well-being, and performance.